If you have ever found yourself wondering if you would be a good candidate for dental veneers, you have come to the right place. Veneers make it possible for anyone to have the flawless set of teeth that they have always wanted. A veneer is a thin shell that covers the front part of a tooth. Shaped and colored just like a real tooth, veneers are virtually impossible to detect. All people see is a set of pearly white teeth. However, not everyone is a good candidate for dental veneers. 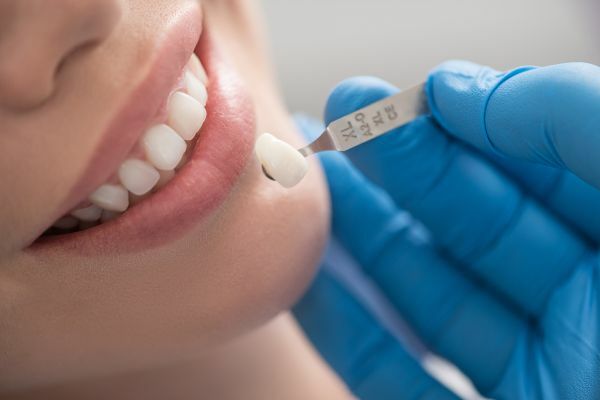 Some issues that are commonly treated with veneers can also be addressed with less invasive treatments like teeth whitening, dental bonding or a crown. The dentist often has the final say when it comes to a patient's eligibility for veneers. People who are interested in getting veneers should have good oral hygiene. That means they brush their teeth at least twice a day and floss every day. Remember, veneers only cover the front of a tooth, so the rest of it is still vulnerable to tooth decay and staining. People with severely decayed teeth would be better off getting crowns instead of veneers. That way the teeth are protected from the irritants in the mouth. Most of the time, the dentist will remove a small amount of enamel before installing veneers. This is done to ensure the prosthetic looks natural inside the patient's mouth. The thinner the veneers, the less enamel that needs to be removed. However, there are special types of veneers that can be installed without removing any enamel. While professional teeth whitening treatments performed by dentists are very effective at removing stains and discoloration caused by smoking, coffee or other things a person consumes, it is not as effective when it comes to getting rid of other types of stains like those caused by tooth decay or fluorosis. If a person is dealing with stains and discoloration that cannot be removed with teeth whitening products, they are a good candidate for dental veneers. Veneers can be used to address other dental issues besides stains and discoloration. For example, they can be used to deal with gaps between teeth, crooked teeth, poorly-aligned teeth or chipped teeth. People who are dealing with any of these issues can restore their smile with veneers. There is no need to be unhappy with the way your smile looks. Anyone can have perfect-looking teeth thanks to veneers. Talk to one of our dentists today and learn about the different types of veneers.